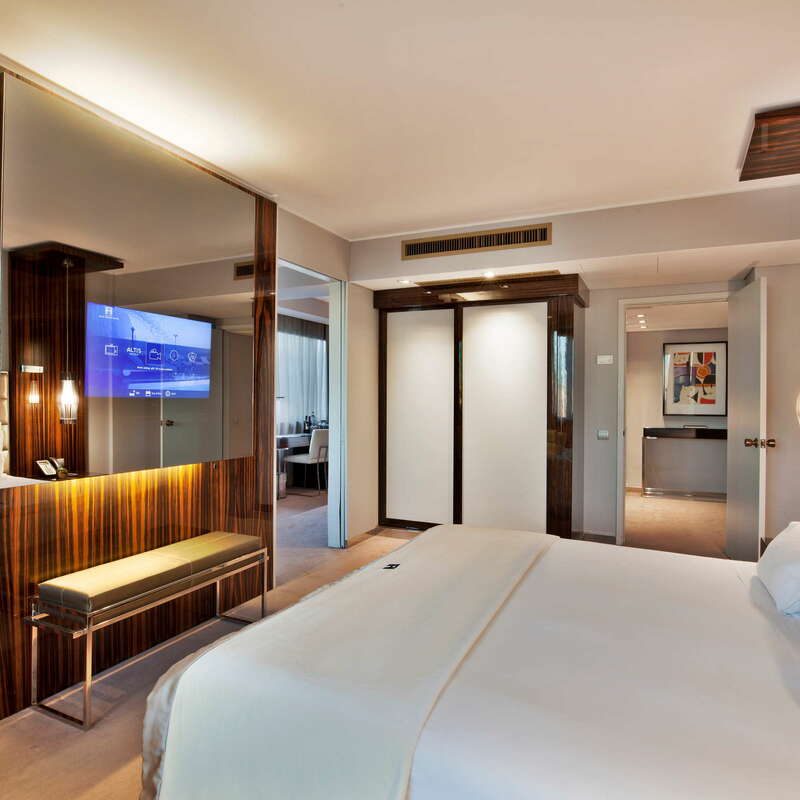 This large, boxy, modern lodging has recently undergone a major refit, and although the exterior wouldn't win any beauty contests, the interior is contemporary and comfortable. The hotel has a broad range of facilities, including a spa and a heated indoor lap pool, and the top floor restaurant is notable both for its food and its views. 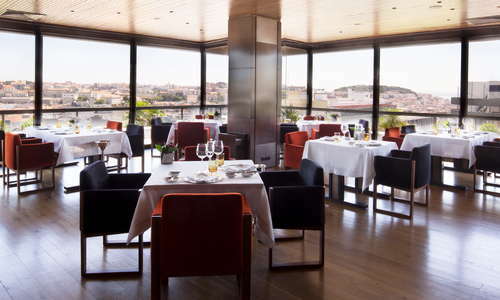 The mezzanine bar-lounge above the lobby is a relaxing spot, and rooms are comfortable, if unexceptional; those on higher floors have impressive views of Parque Eduardo VII. 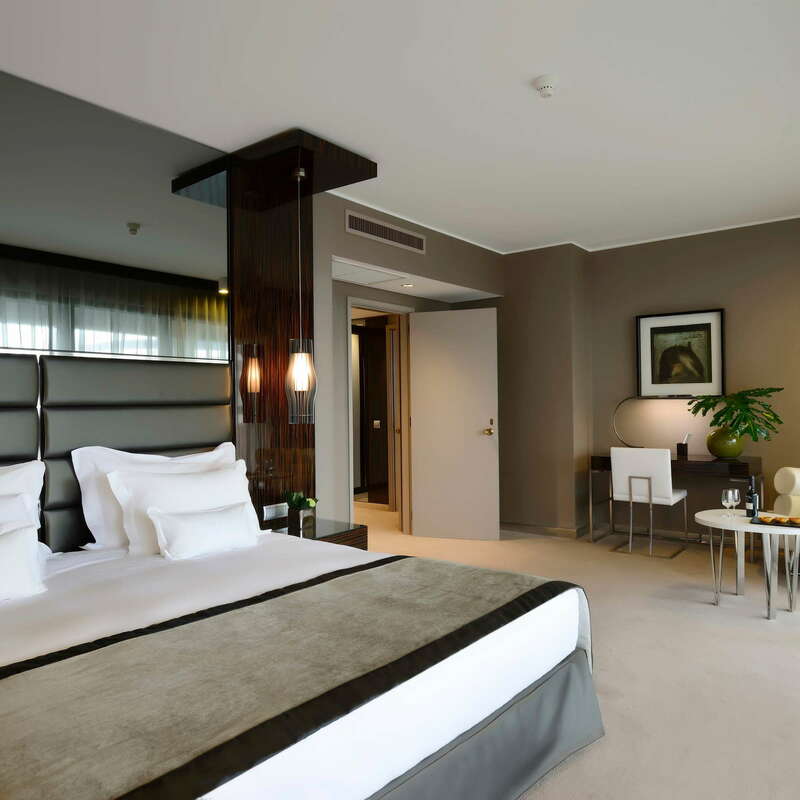 The location close to Lisbon's business district is a short distance to the airport, but the attractions of the historic downtown are within walking distance, too, and the hotel caters well to families. 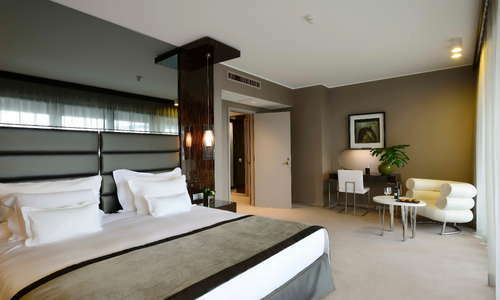 YOU SHOULD KNOW The hotel is smart, but not thrilling, making it better suited to business trips than romantic breaks. The rooms and suites have all the comforts one would expect of a five-star hotel, but the decor is neutral rather than dazzling. 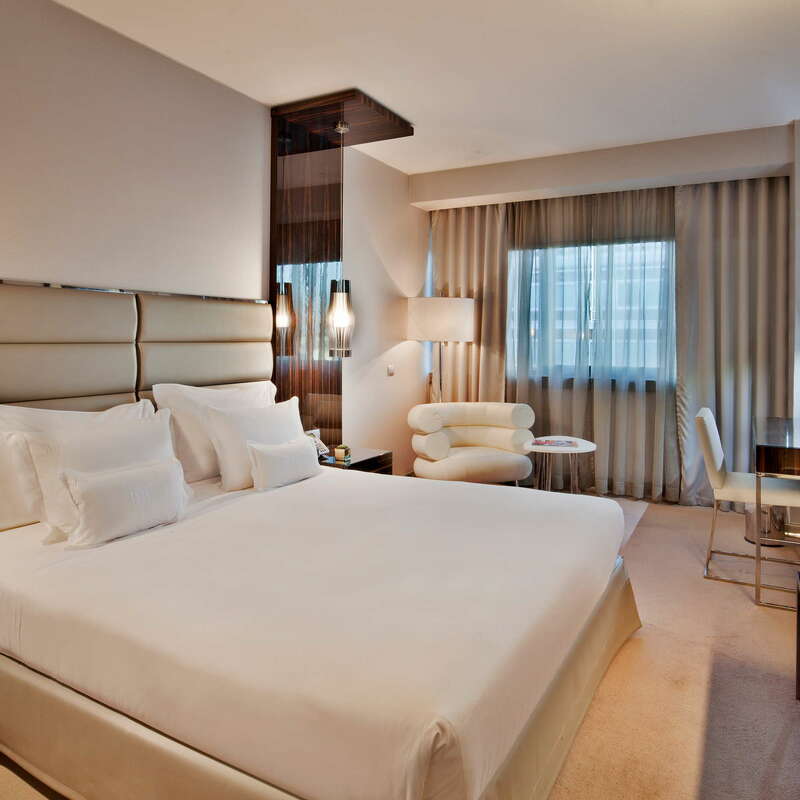 Beds are comfortable, soundproofing is good, and rooms on the higher floors have impressive city views. There's free in-room Wi-Fi, but a charge for Nespresso capsules in most rooms. Families can opt for adjoining rooms, and Family Packages include lodgings and kid-friendly excursions. 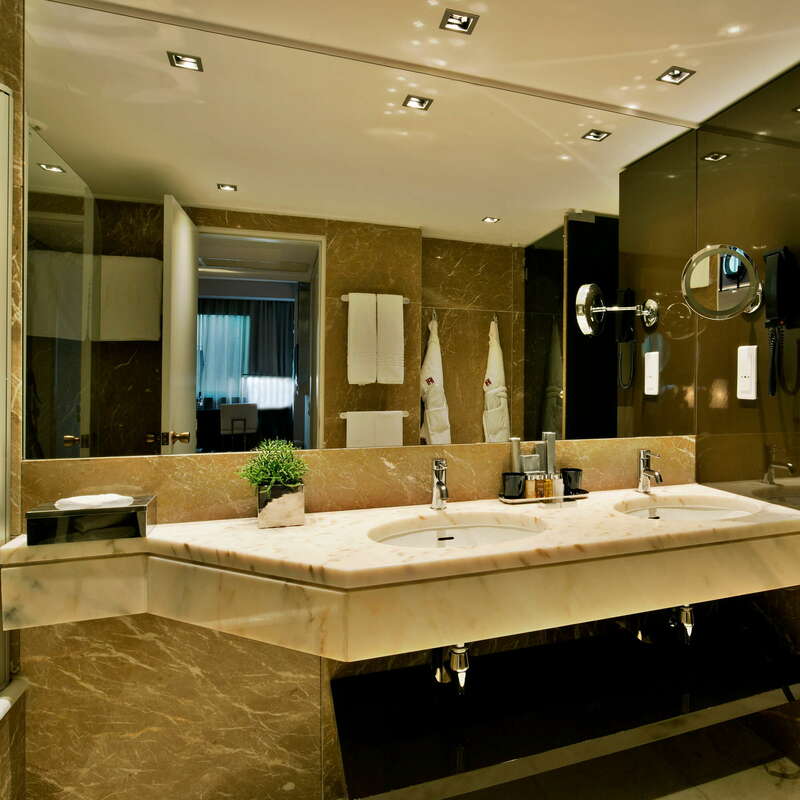 The bathrooms are as smart and as neutral, as the rooms themselves, with lots of marble and soft brown shades. 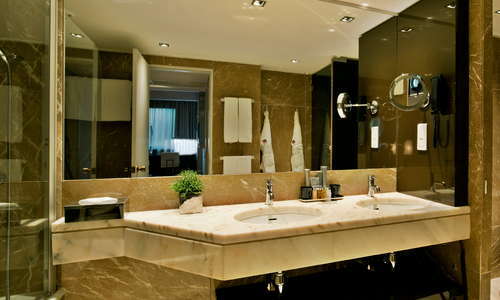 Bathrooms have deep tubs and overhead showers, comfortable robes and slippers, and plenty of complimentary toiletries. 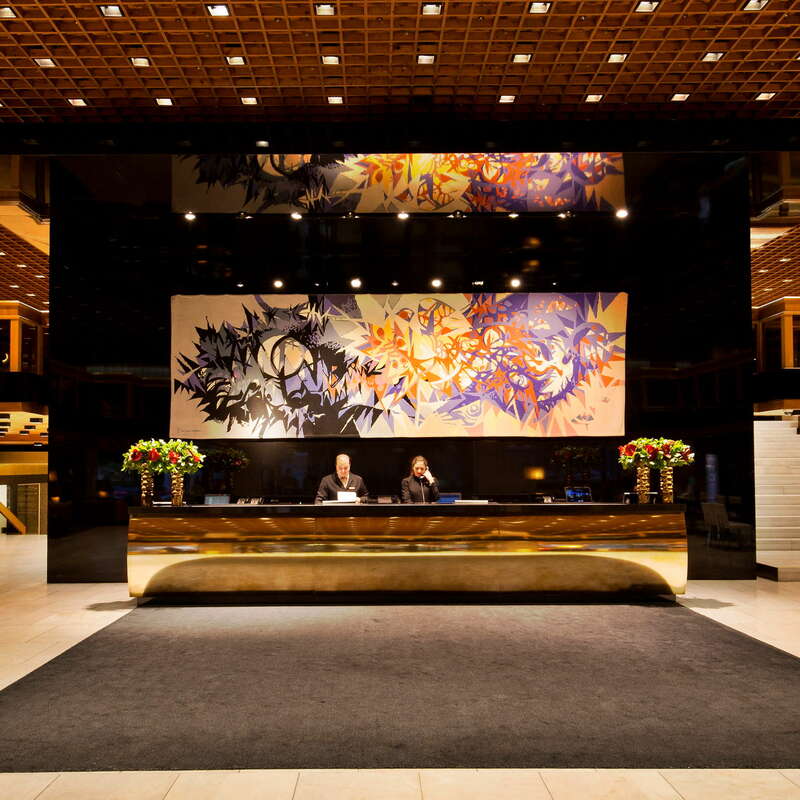 The lobby received a refit during the hotel's recent makeover, and today is as grand as the hotel's name suggests. 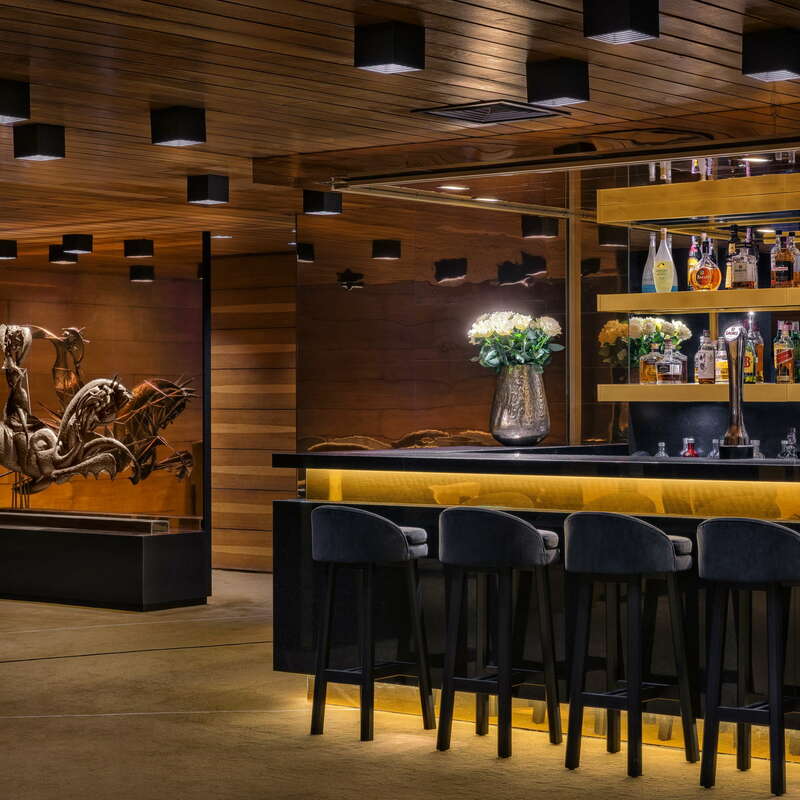 With jazzy artworks, marble statues and a gold-effect check-in desk, it feels suitably upscale, and there's a pleasant bar on the lobby level. 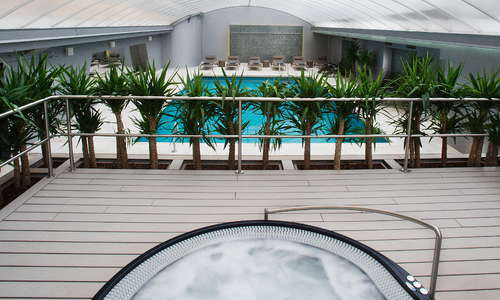 The heated indoor lap pool is located in the hotel's modern spa, and is big enough to keep serious swimmers happy. Under-16s can use the pool until 4p.m., when accompanied by an adult. Swimming caps are obligatory in the pool-bring your own or expect to spend a few extra euros buying one at the hotel. The GSpa at the Altis Grand is an impressive, modern facility that attracts non-guests as well as those staying at the hotel. 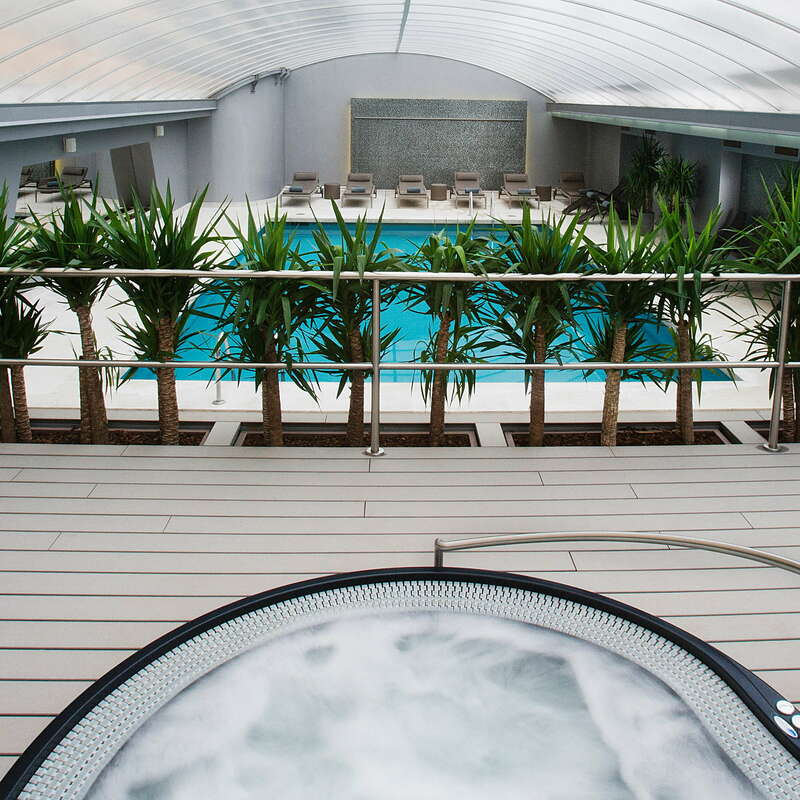 As well as the large pool and a fitness center, the spa area has a sauna, hammam, jacuzzi and five treatment rooms offering all manner of pampering treats. A juice menu offers a selection of elixirs that promise to boost body and soul. The hotel's fitness center has been recently upgraded, and has a good selection of cardio equipment, weights, and rooms for group classes. 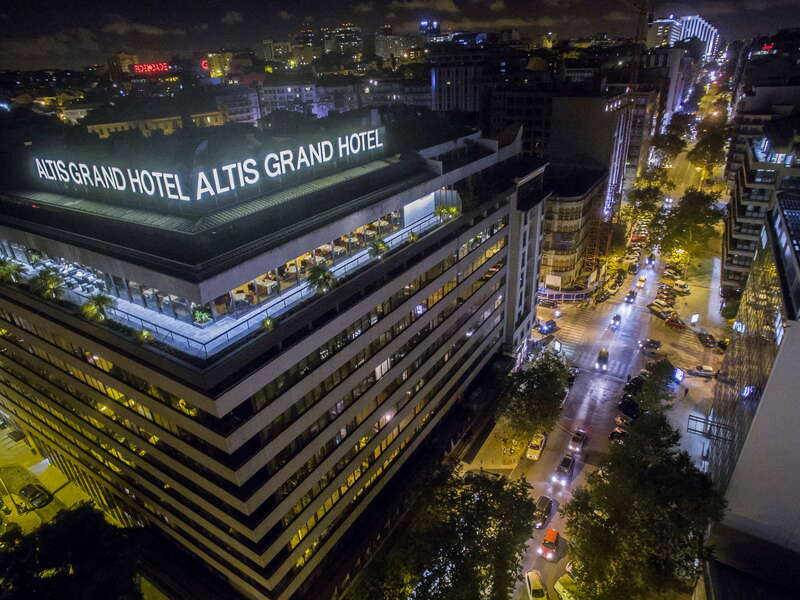 There's not much chance of going hungry during a stay at the Altis Grand, thanks to two restaurants and three bars that also serve snacks. 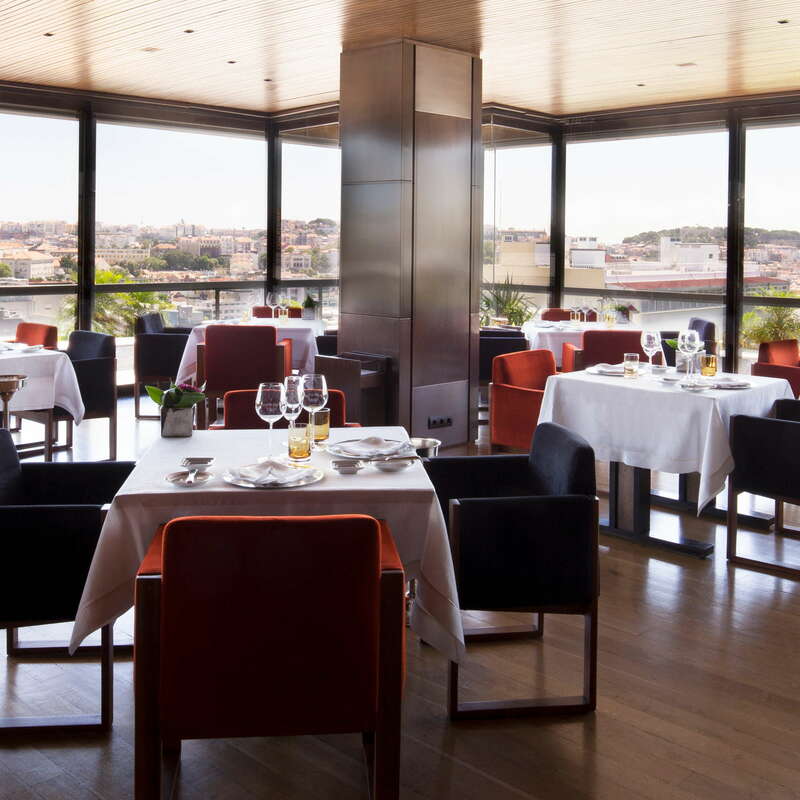 The top floor formal dining restaurant Dom Fernando Grill is the most noteworthy, with excellent grilled fish and steaks made all the more memorable by superb service and sweeping city views from the floor-to-ceiling windows. Downstairs, the Rendez-Vous Coffee Shop is a more informal affair, serving main meals as well as coffee and tempting pastries. 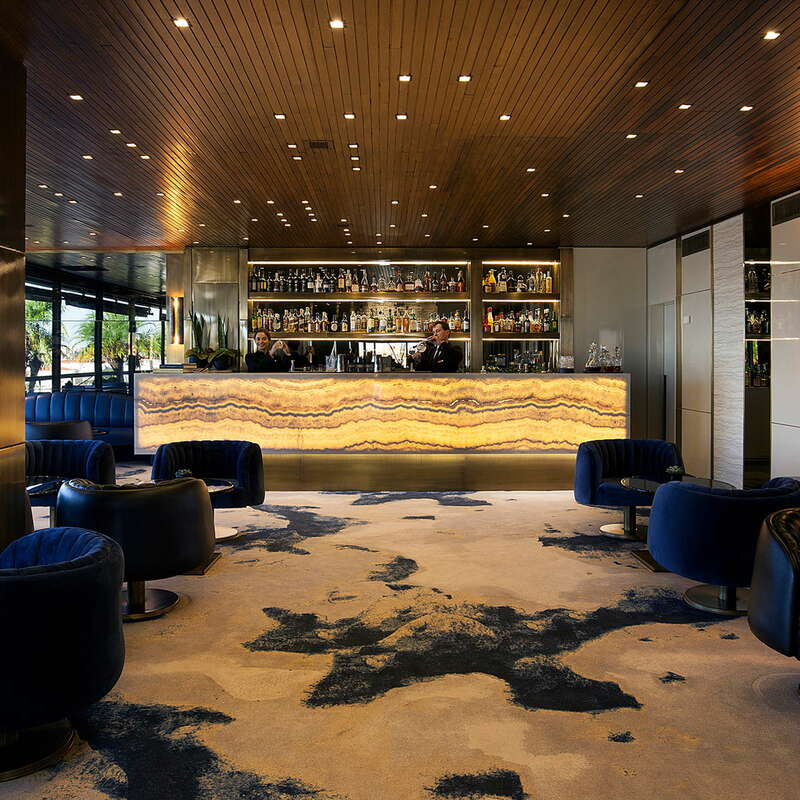 Guests at the Altis Grand Hotel can take their pick from the welcoming Lobby Bar, the more colorful mezzanine cocktail bar Herald, and the S. Jorge Bar, which has a terrace with terrific views over the castle. 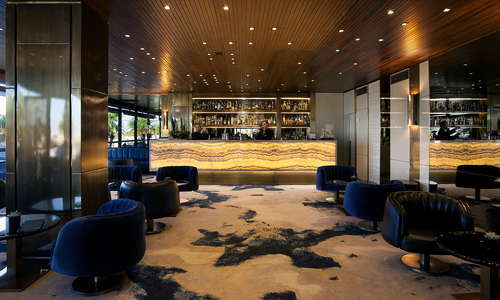 All serve a range of light meals and snacks as well as as an extensive array of wines and mixed drinks. 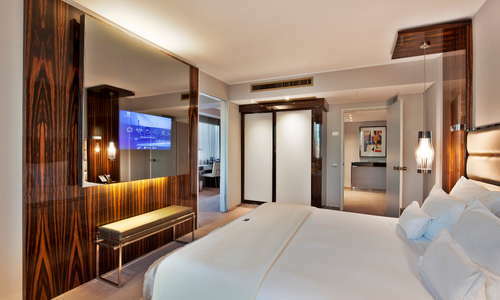 It's a short walk from the hotel to the attractions of the historic center-just follow the elegant, tree-lined Avenida da Liberdade along to the famous Rossio Square. The hotel offers a free shuttle service to the airport (check for availability) as well as a handy shuttle between the hotel and other Altis properties in the historic center and the extremely picturesque neighborhood of Belem. Avenida Metro is less than 10-minutes' walk from the hotel, and Rossio train station has frequent departures to the beautiful outlying town of Sintra. The Altis Grand is surrounded by dining options to suit all tastes and pockets. It's no distance at all to Chimera (2-minute walk) which serves tasty tapas-style small plates in a quirky space with lots of cute design detail; while vegetarians (who often find their options limited in fish-loving Portugal) can find delicious meat-free dishes at Os Tibetanos (2-minute walk), which is one of the longest-serving veggie restaurants in the city, and still among the best. 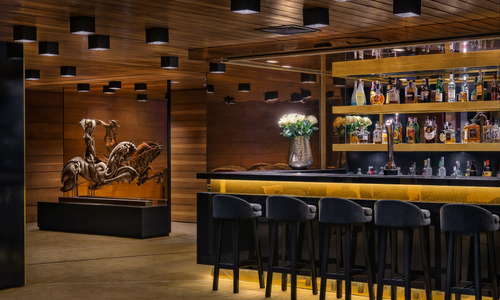 Lisbon is increasingly establishing itself as one of Europe's most colorful, creative cities, and this creativity is particularly evident in its hipped up bar scene. 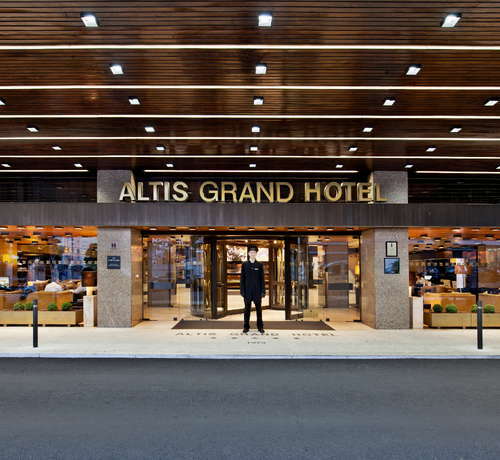 There are lots of interesting options within walking distance of the Altis Grand, including Cervetaca Lisboa (10-minute walk), which has a huge range of craft beers and imported ales as well as tempting bar snacks. The intriguing Pavilhão Chinês (10-15-minute walk) is well worth a visit, for the unique experience of sipping a drink in a curiosity-filled space that packs in antique toys and mannequins into a bar that feels more like a museum. 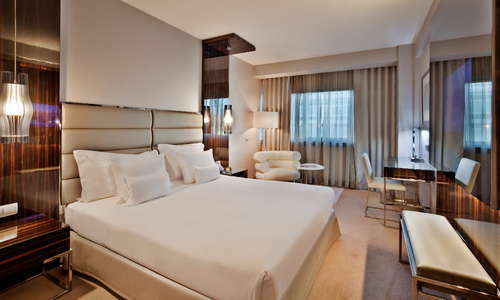 This is a modern, well-located luxury hotel with good facilities. 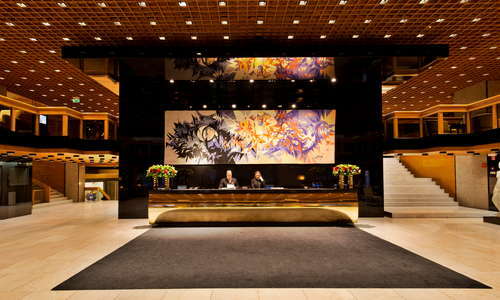 The spa, pool, restaurants and bars are all impressive, and the service is first rate. The location is very handy for sightseeing, and the shuttle bus to the airport and to Belem is an extra bonus.